The remains of Nigerian reggae legend, Ras Kimono, will be laid to rest in his home town, Onitsha Olona, Delta State, this August. 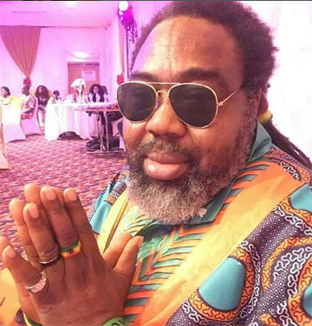 Ras Kimono died in a Lagos hospital on June 10, after a brief illness. According to Mr. Theophilus Ehizibue, who spoke on behalf of the family at a briefing in Surulere, Lagos said: “Kimono’s journey to eternity will commence on Friday, August 17, with a social wake keep at his residence in Magodo, Lagos. “Thereafter, his former record label, Premier Music, will hold a night of tributes in his honour at Freedom Park on Monday, August 20, while reggae dancehall party comes up at his Magodo residence. “Association of Music Band Organisation of Nigeria, AMBON, will equally hold a night of tributes at Freedom Park on Tuesday, August 21, with the reggae dancehall party continuing at his Magodo residence. While in Asaba, there will be a procession by the Rasta community on Friday, August 24, followed by a brief lying-in-state between 1p.m. and 3p.m. Then wake-keep holds at home town, Olona. Saturday, August 25, he would be lying-in-state in his compound in Olona, followed by interment. Sunday, August 26 2018 would be the thanksgiving.